On December 15th, 1913 – exactly 100 years ago today – Founder James Frank Hopkins entered Chapter Eternal. Hopkins’ memorial service was held in the Methodist church of Mabelvale, Arkansas, his home since 1874. The Fraternity was deeply affected by the passing of Founder Hopkins and poured out its respects to him in letters to The Delta. Below are excerpts from The Delta following the passing of Founder Hopkins. So we say Farewell, beloved Founder; frater princeps of Sigma Nu, first among ten thousand brethren; faithful follower of that which thou didst create. We lift our eyes beyond God’s Acre to where the evening skies are shining like gates of pearl. Roll back that the proud old Roman may enter. And ere they close the word is spoken—which God grant we all may hear—‘Well done, good servant,’ and farewell. – Albert H. Wilson, former Regent (1910-12) and Vice Regent. The first time I ever saw Brother Hopkins he threw his arms about me, drew may face against his tear-stained cheek and was speechless for moments. O, what I felt then I shall never forget. For twenty years I had labored for the order he had founded in 1869. It was his first Grand Chapter (Indianapolis) and the first time he had met anywhere over two or three brethren in nearly forty years. I wept upon his breast. O, God, how strong are the chords that bind the hearts of men! – Clarence Woods, Grand Recorder and Editor of The Delta (1894-1913). To live as he lived, and to die as he died—strong in the Faith of Brotherhood, a brotherhood he was pleased to call Sigma Nu—should give us reason to honor him in death as we did in life and to ever cherish the memory of his devotion to a splendid work. – Arthur Krippner, Regent (1912-15) and Vice Regent. Hopkins pictured with W.T. Field, founding member of Gamma Upsilon Chapter (Arkansas). This was a great achievement for a young man, but what is even greater is that as this young man grew up and lived a long life he continued to hate the things which he hated at V. M. I. and to love and to live the things which he honored there. He was true to his Ideal. He lived the Faith. The years of his life were steadfastly true to Love, Honor and Truth. – Walter James Sears, author of The Creed of Sigma Nu and Regent (1915-1918). His last words were of Sigma Nu, and one of his last acts was to direct that his old Sigma Nu badge should be given to me, a token at once of love and honor which I shall always prize. – W. T. Field, founding member of Gamma Upsilon Chapter (Arkansas) and personal friend of Hopkins. 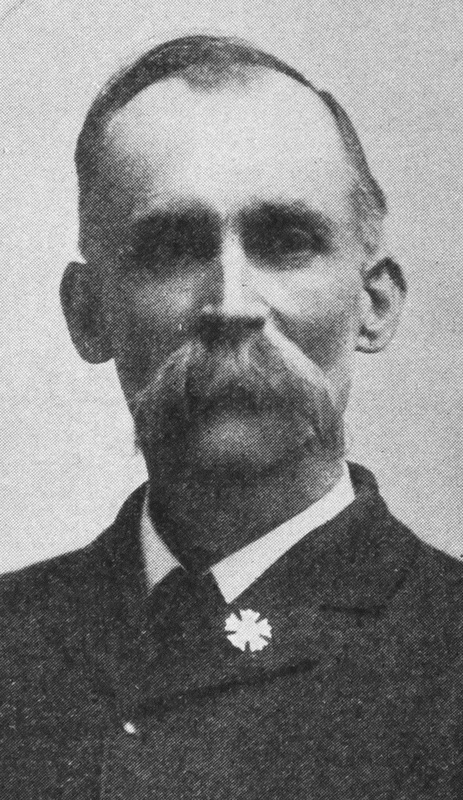 James Frank Hopkins pictured in later years. It does our hearts good to know that our father’s beautiful Christian life has influenced so many thousands of young men, and I trust that the Fraternity may continue to grow and inculcate the noble principles which my dear father exemplified, in his daily life. 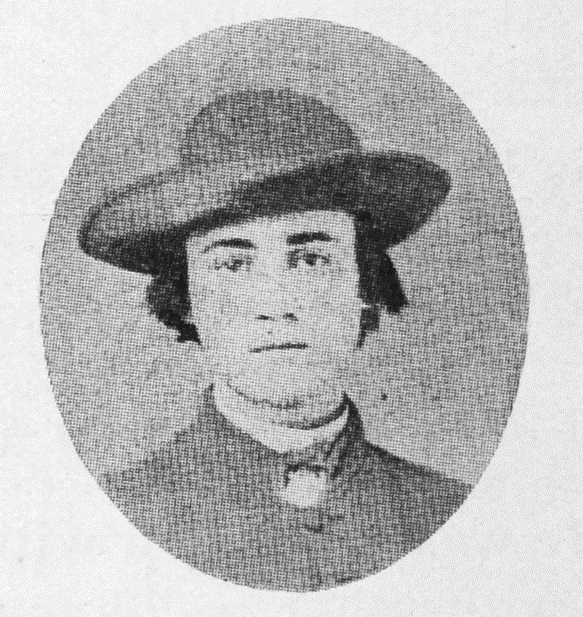 – Bessie Hopkins Milling, daughter of Founder Hopkins. And so he left his abiding mark on American manhood in the Sigma Nu Fraternity and all it means and stands for of achievement and the ideals of honor. Of him in life and in death we may truly say: He ever bore, without abuse, The grand old name of Gentleman. – Perlee Rawson Bennett, Regent (1890-94) and expander of The Ritual. 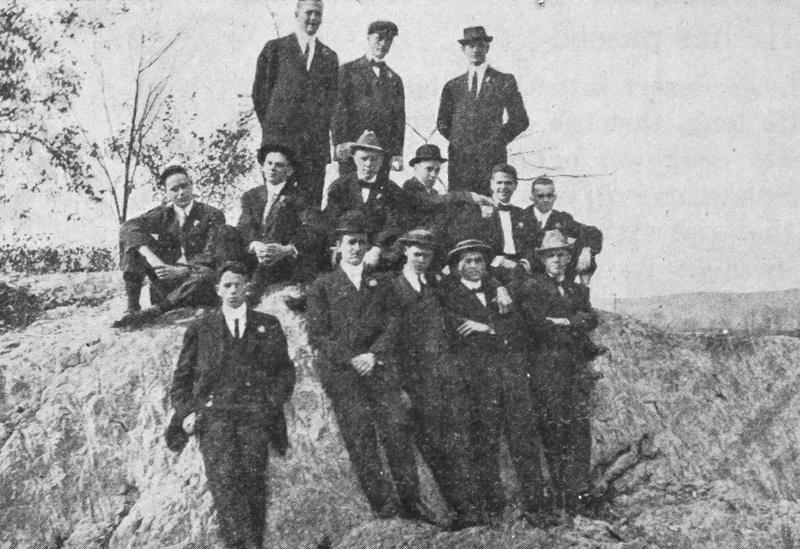 Sigma Nus pictured at the original Rock of Sigma Nu. If there was a road to be built, a bridge to be built, if the cemetery was to be cleaned off, if a school house was to be built, if there was a church house to be built; if there was any noble program, he took the brunt of the services, bore the heaviest part of the work… Probably no man had done more different forms of service for his fellowman than this man whose memory you commemorate today. – Dr. J.I. 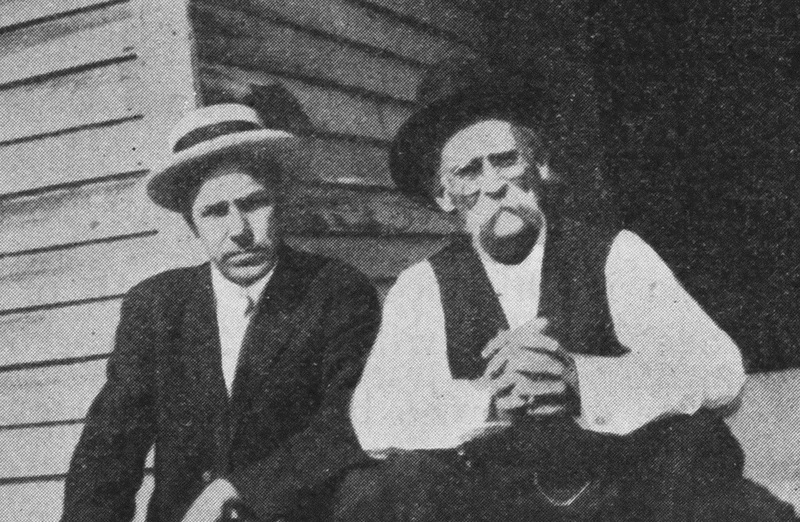 Norris, childhood friend of Hopkins and Presbyterian minister. The photographs have faded, we have changed, our dear Brother has been called to ‘go up higher,’ but the principals then and there enunciated will live always…His life has been an inspiration to all youth. All that was mortal of Brother Hopkins lies buried here, but his immortal spirit will live forever. – Greenfield Quarles, founding member of Sigma Nu and lifelong friend of Hopkins. 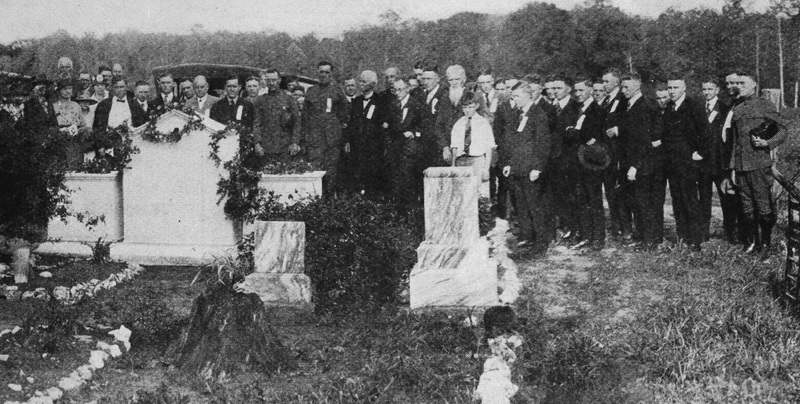 The 1920 dedication of a monument at Hopkin’s graveside.